On Wednesday, a group of anti-fracking protesters interrupted a book talk from Gov. 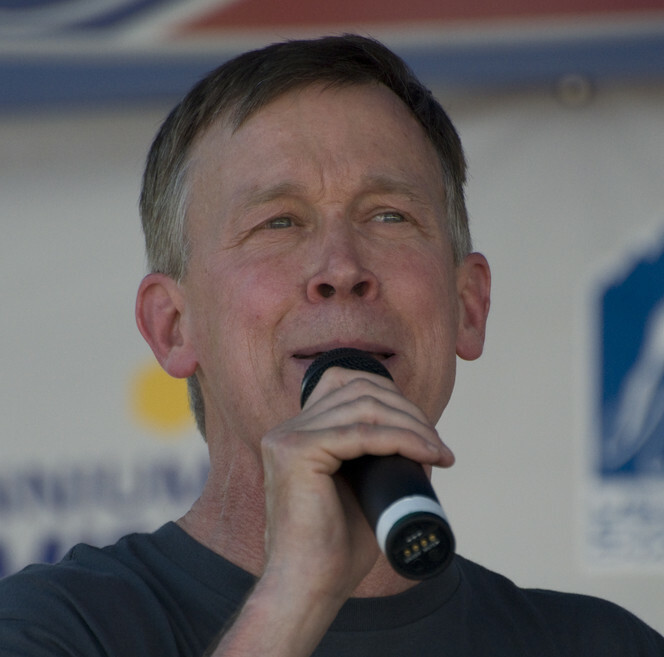 John Hickenlooper (D-CO) by shouting and unfurling a banner in front of the governor. Two themes emerged among the remaining audience members: Nearly everyone expressed that they found the protesters’ behavior disrespectful — not only of the governor, but of the audience members. “Counterproductive,” “Ripped off,” “You’re hurting your cause,” “Acting like 10-year-old kids,” and “We have rights too” were sentiments held in common. Some also expressed frustration that the protesters seemed to want only to express their views and were unwilling to talk or negotiate, despite offers to be allotted time to share their views in exchange for allowing the governor to speak. All three branches of government have denied the Environmentalist Left’s attempts to ban fracking in Colorado towns and cities in recent years. Hickenlooper supports fracking, and called it the “very best and safest extraction technique” in his new book. A recent study from the University of Colorado estimated a fracking ban would cost the state 68,000 jobs and $8 billion in gross domestic product (GDP) over just five years.